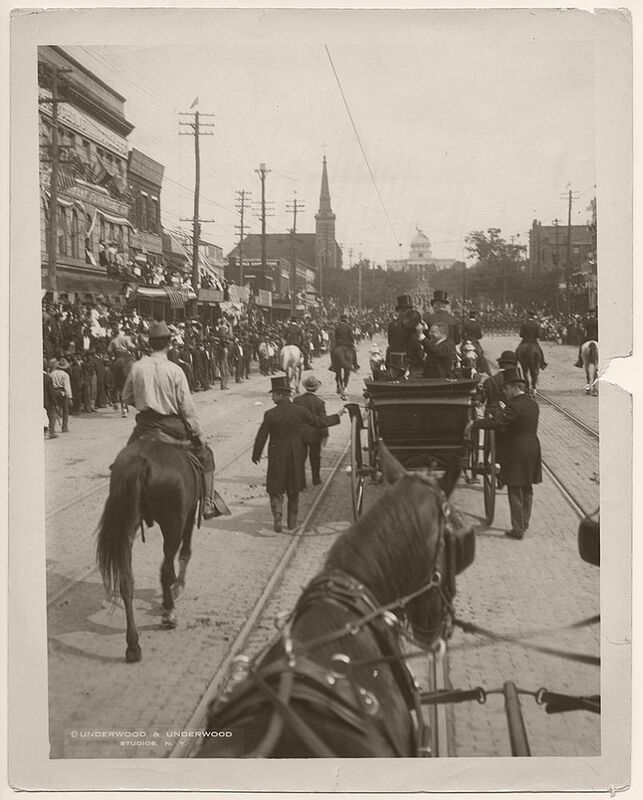 President Theodore Roosevelt on Dexter Avenue, in Montgomery, Alabama, 1905. On May 6, 1903, President Theodore Roosevelt delivered a speech at the Grand Canyon in Arizona asking the citizens not to change the land, but to keep it for future generations to see. 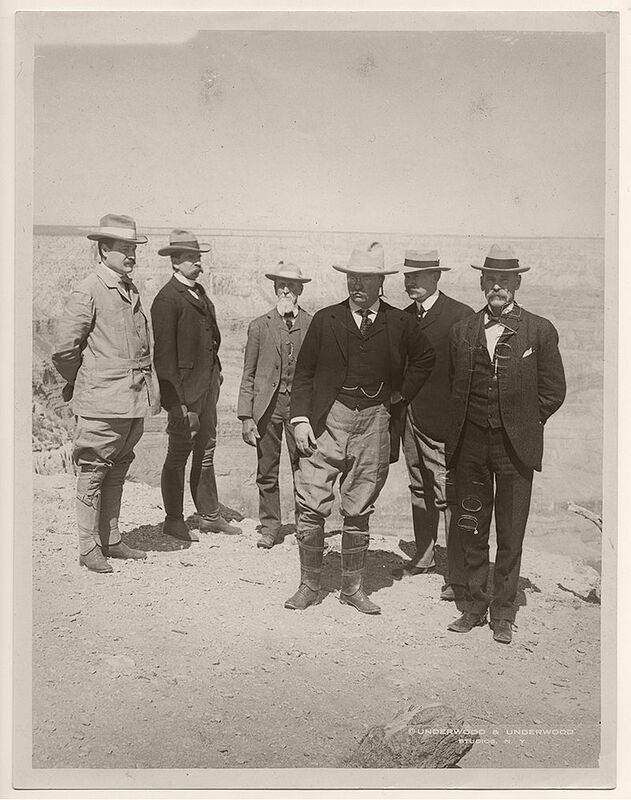 The men in the photograph are, from left to right, William Loeb, Jr., Secretary to the President, Alexander Oswald Brodie, Governor of the Territory of Arizona, and President Theodore Roosevelt. On May 6, 1903, President Theodore Roosevelt delivered a speech at the Grand Canyon in Arizona asking the citizens not to change the land, but to keep it for future generations to see. 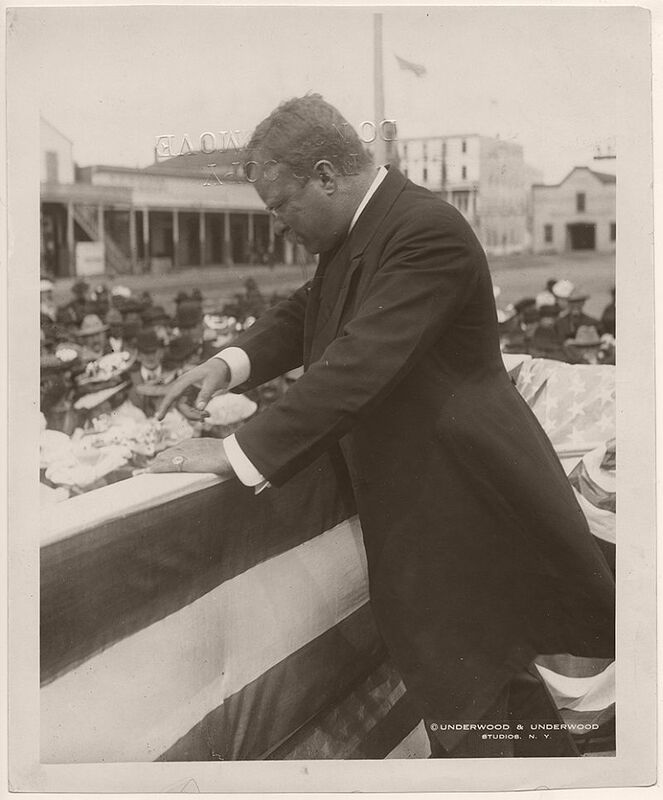 On May 19, 1903, President Theodore Roosevelt delivered a speech in Truckee, California. 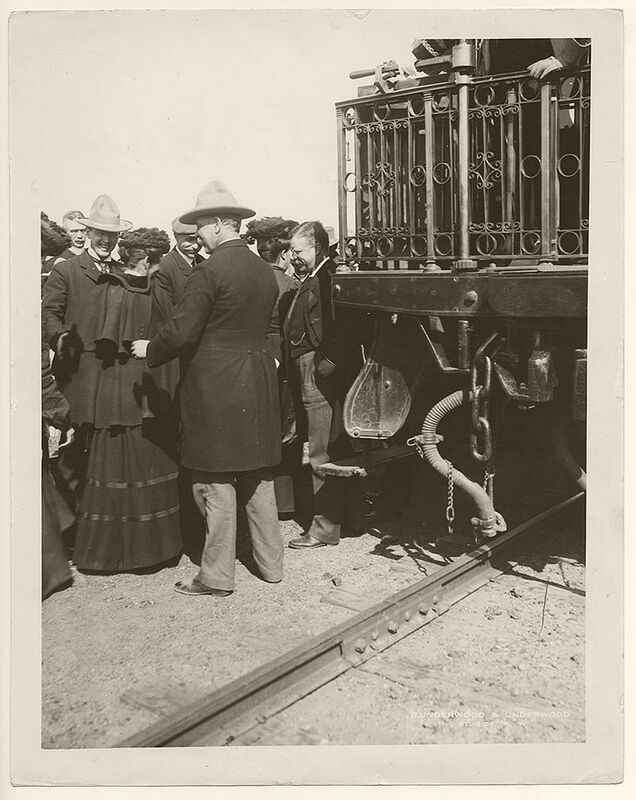 The President with Mr. Burroughs and Secretary Loeb, just before entering Yellowstone National Park, April 1903. President Theodore Roosevelt in Deer Trail, Colorado, May 1903. 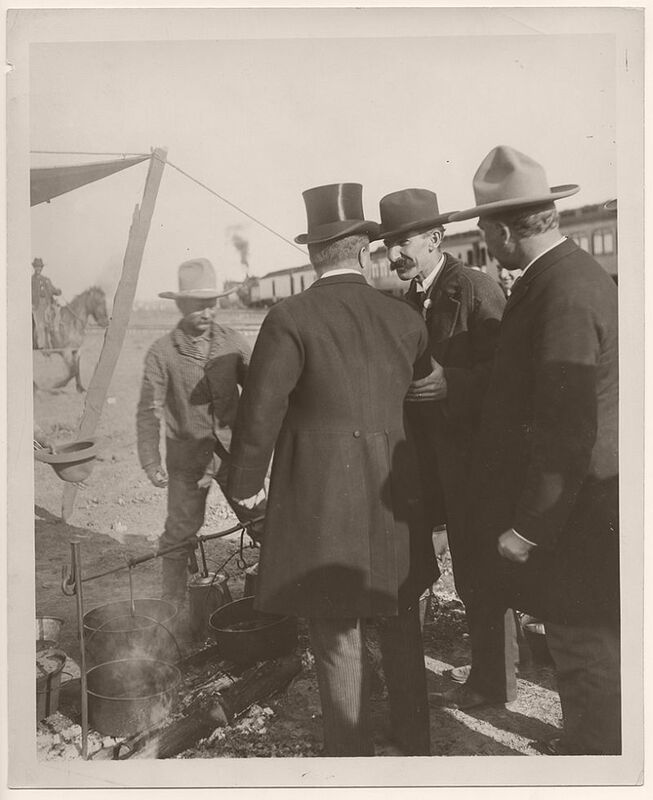 On May 4th, 1903, Theodore Roosevelt had breakfast with a group of cowboys in Hugo, Colorado. 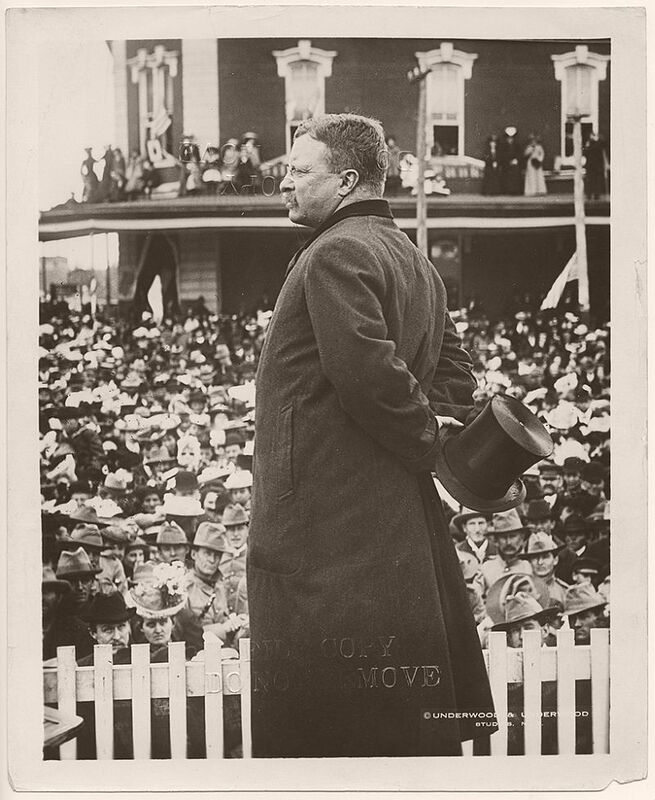 On May 28, 1903, President Theodore Roosevelt delivered a speech in Shoshone, Idaho reflecting on the unity and good citizenship of the American people. 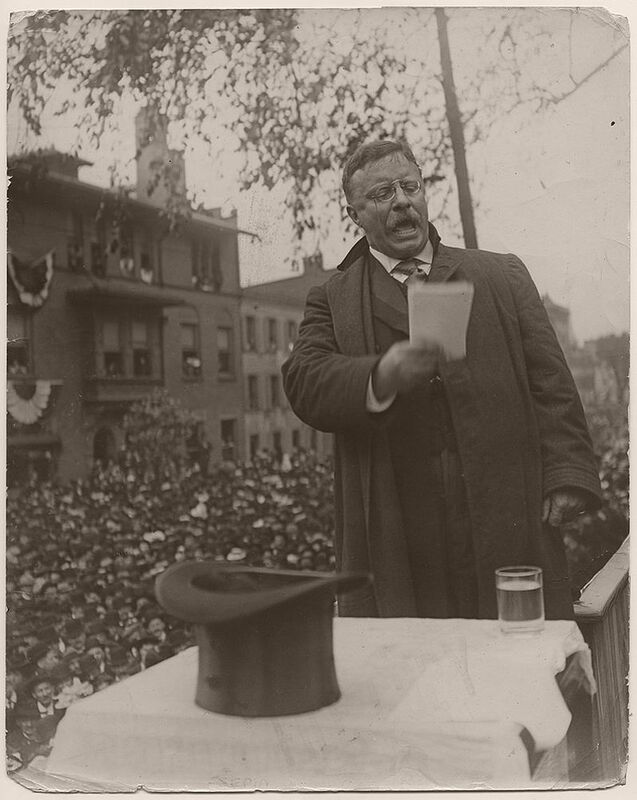 On April 29, 1903, President Theodore Roosevelt delivered a speech in Quincy, Illinois about managing United States currency. 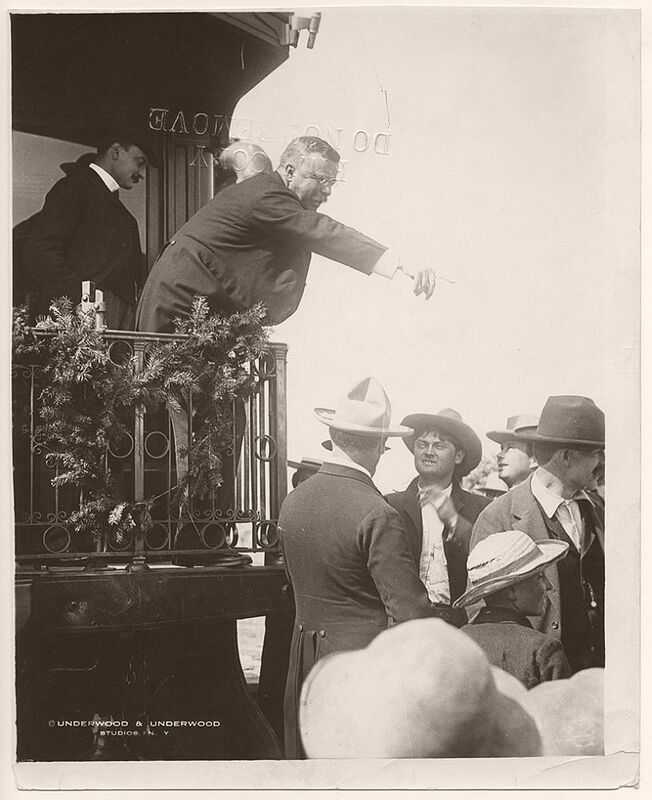 President Theodore Roosevelt in Abilene, Kansas. 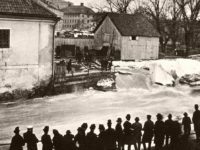 May 2, 1903. 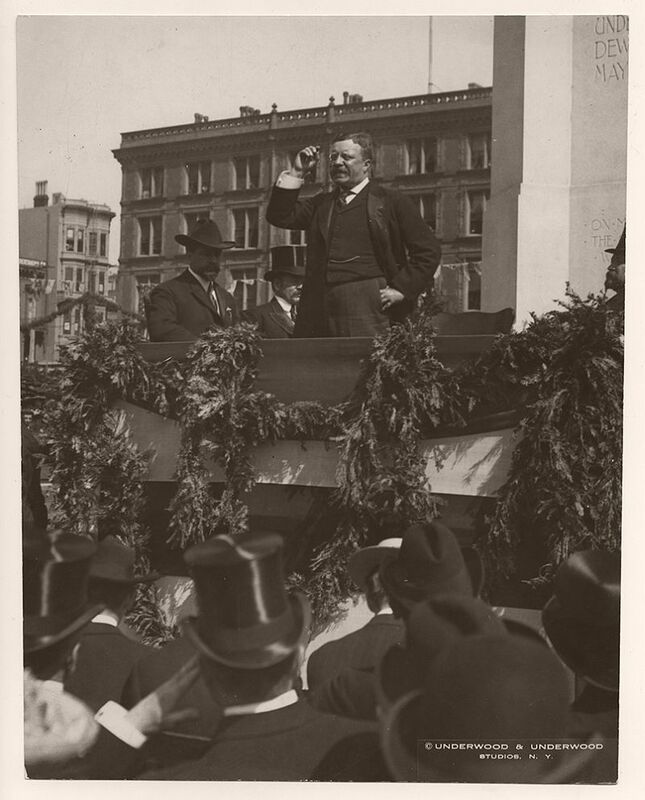 On August 25, 1902, President Theodore Roosevelt delivered a speech in Nahant, Massachusetts. 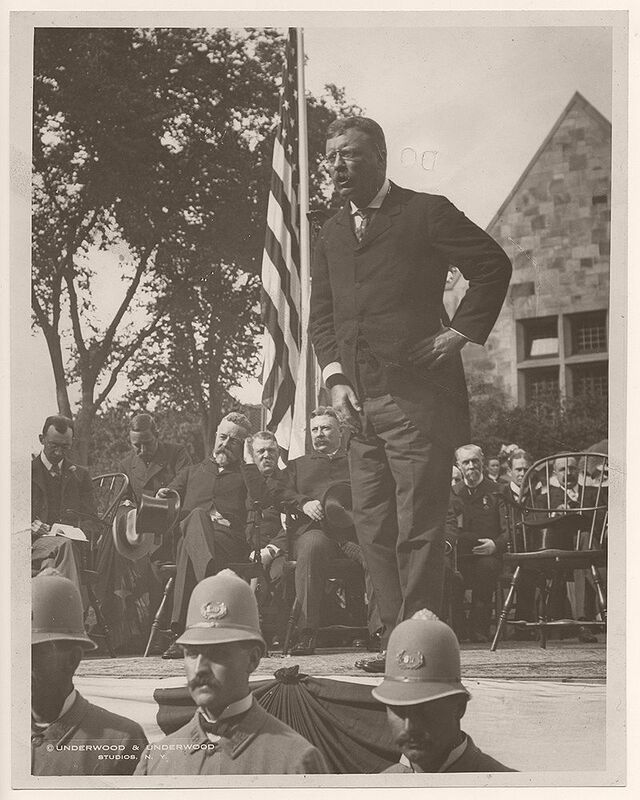 Henry C. Lodge, governor of Massachusetts, is seated behind President Roosevelt, with his hand touching his head. 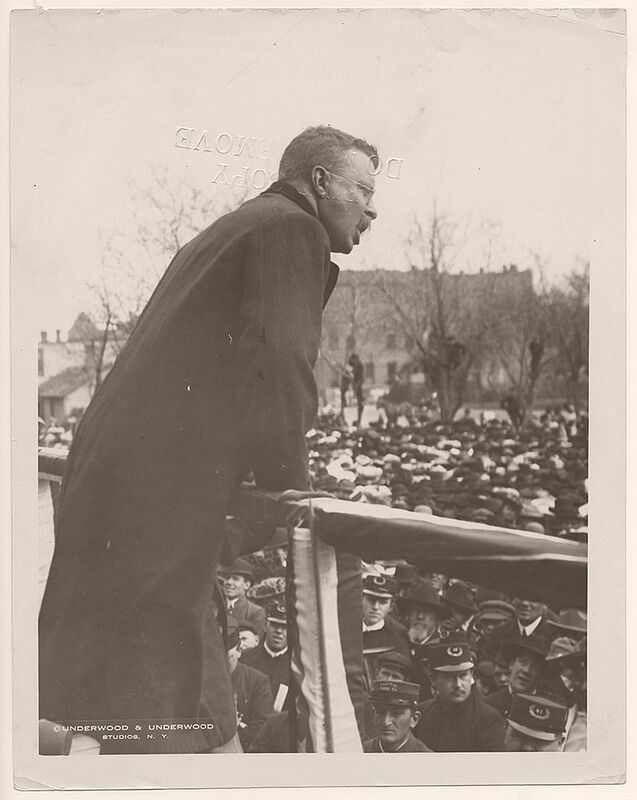 On April 27, 1903, President Theodore Roosevelt delivered a speech in Grand Island, Nebraska congratulating the inhabitants of that state for their great achievement in growing and fostering the growth of trees and staple crops. 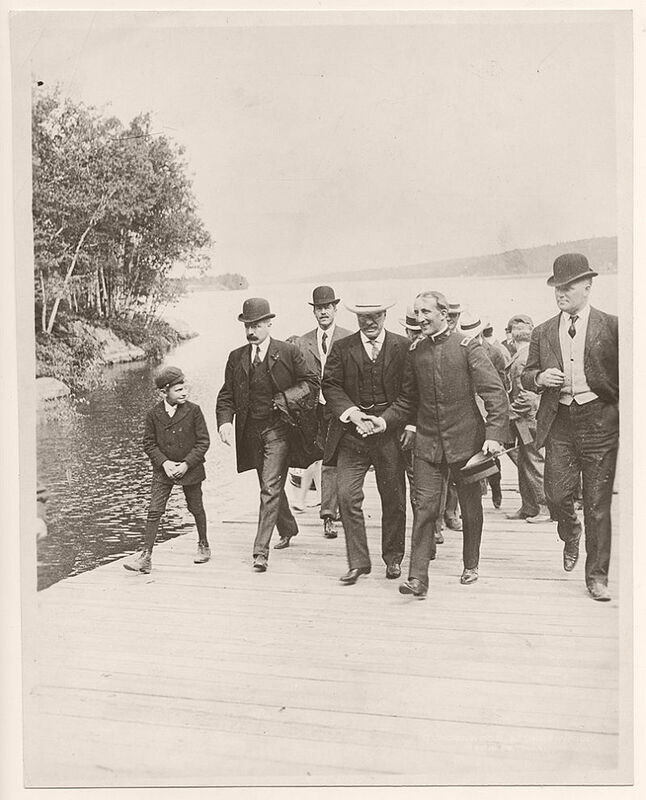 Theodore Roosevelt, during his New England tour, at Lake Sunapee in New Hampshire. 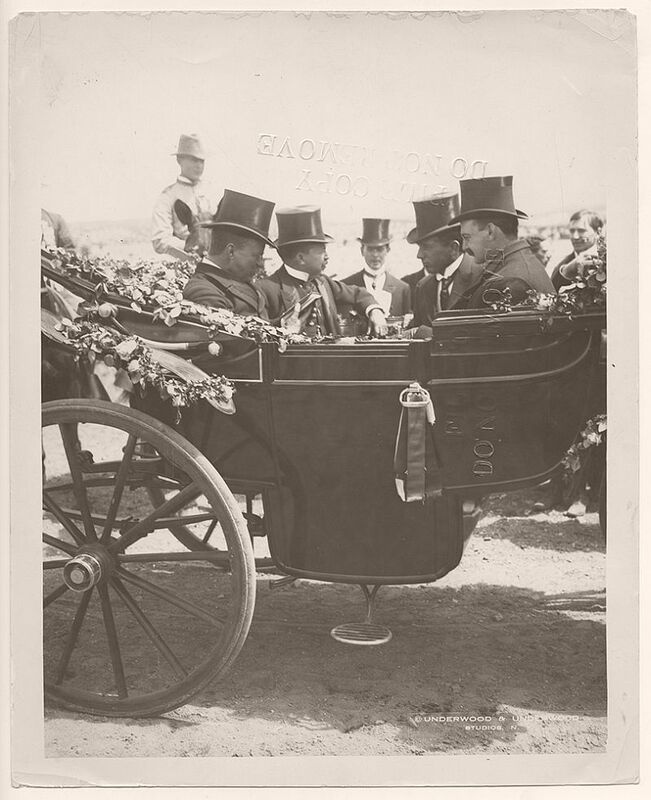 In the photograph are George B. Cortelyou, Roosevelt’s future secretary of Commerce and Labor, on Roosevelt’s right, and William Craig, the first Secret Service agent ever killed in the line of duty, on the far right in the photograph. 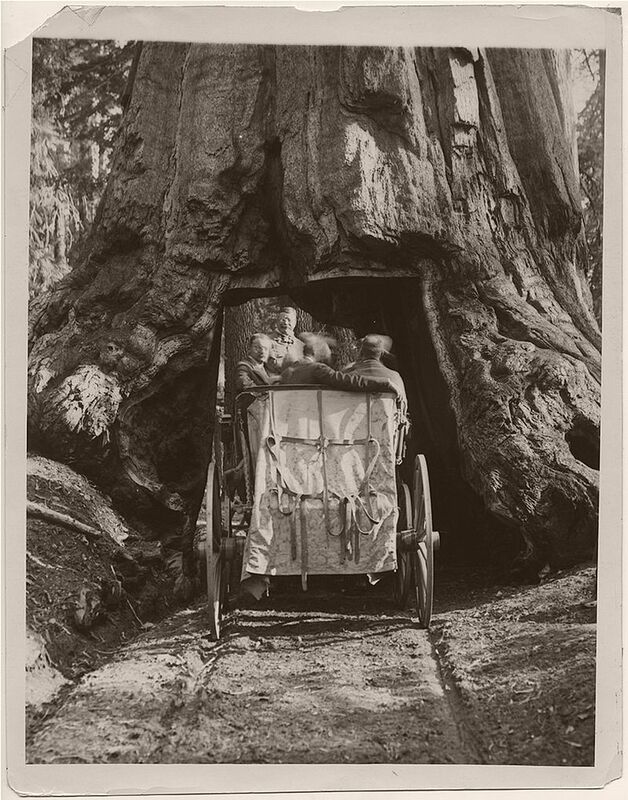 August 29, 1902. 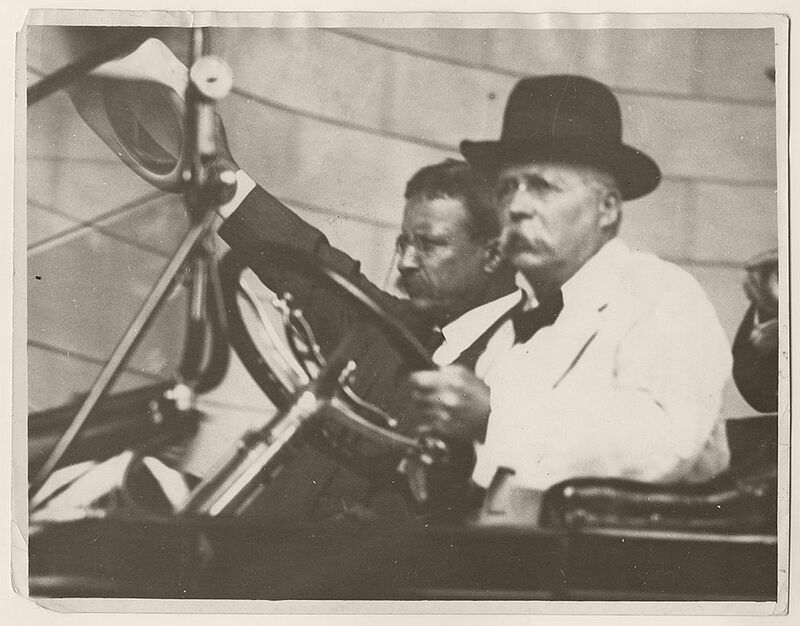 On August 4, 1904, the Republican Nomination Committee notified Theodore Roosevelt of his nomination for a second Presidential term at his home in New York, Sagamore Hill. 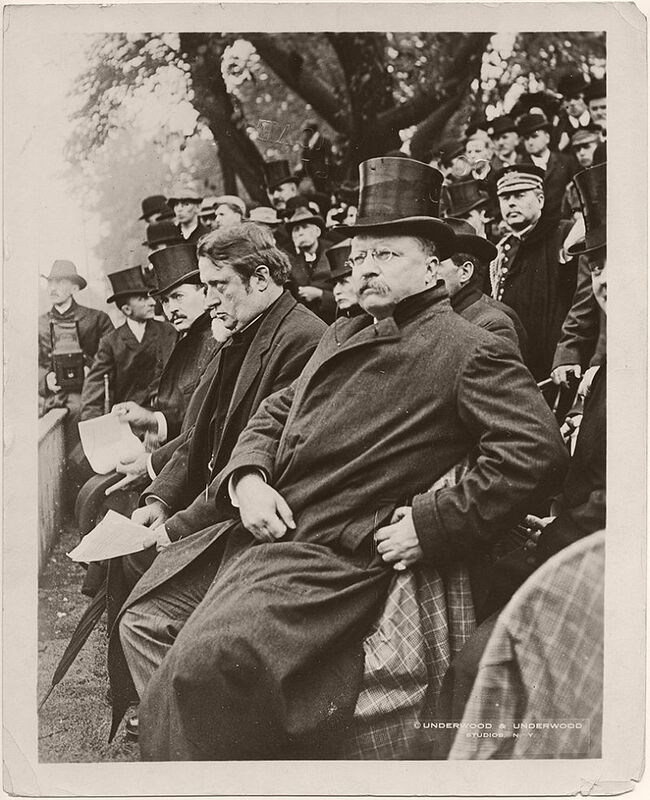 Theodore Roosevelt is pictured in the center of the photograph, with Benjamin O’Dell, the 34th Governor of New York, on his left. 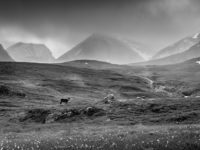 Chauncey M. Depew, U.S. Senator and Delegate at Large, is pictured to Roosevelt’s right. 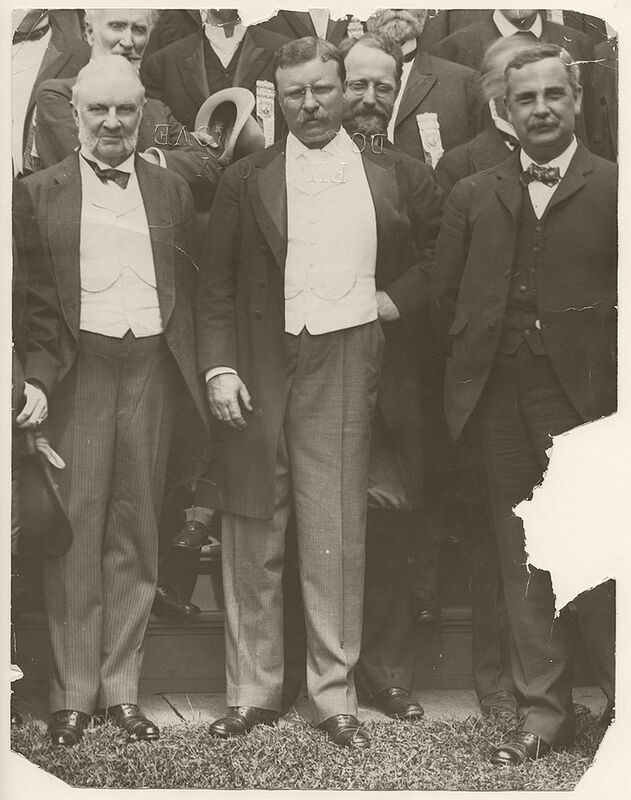 In the second row, George Pardee, Governor of California, is pictured standing directly behind Roosevelt, while Joseph G. Cannon, Delegate at Large and Permanent Chairman of the Republican National Convention of 1904 is standing directly behind Depew. On May 5, 1903, President Theodore Roosevelt delivered a speech in Santa Fe, New Mexico asking the residents to support him in preserving the forests of New Mexico and pursuing development that will preserve the land. 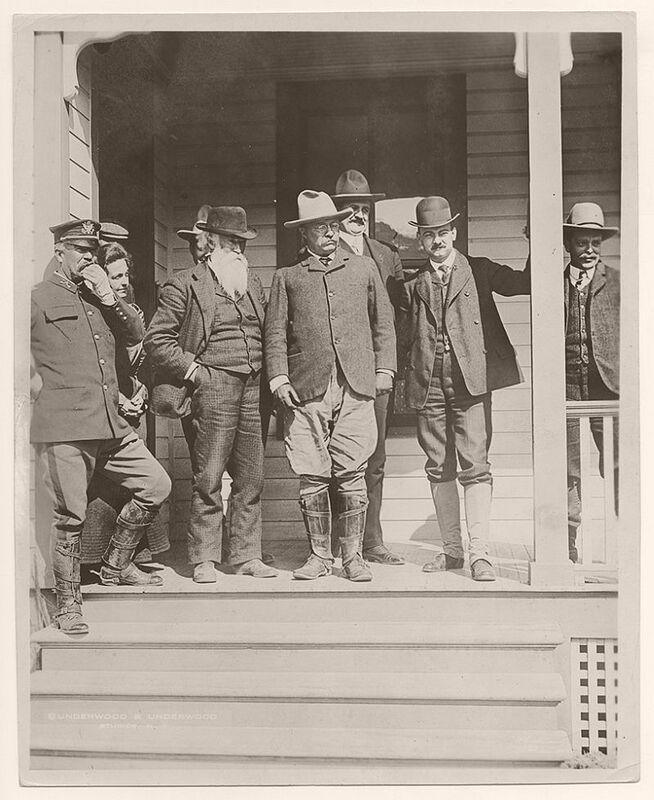 Taken on April 5th, 1905, this photograph is of Theodore Roosevelt and his party, during a brief stop in Sherman, Texas, while traveling to San Antonio to attend a reunion of the Rough Riders. 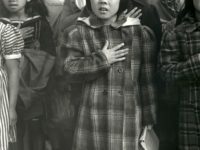 Speaking for 15 minutes before a crowd of 35,000, he praised Texas as ‘one of two or three greatest states in the Union’, emphasized his own heritage from the south and the north and his delight in national reunification. 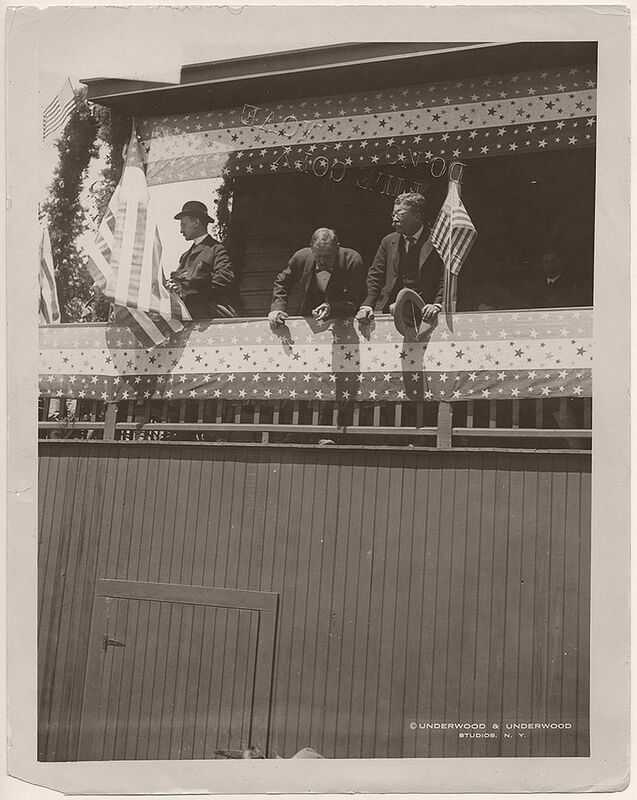 Pictured in the foreground of the photograph, from left to right, are an unidentified man, Theodore Roosevelt, President of the United States, an unidentified man, William Loeb, Jr., Secretary to the President, and Cecil A. Lyon, Republican National Committeeman. 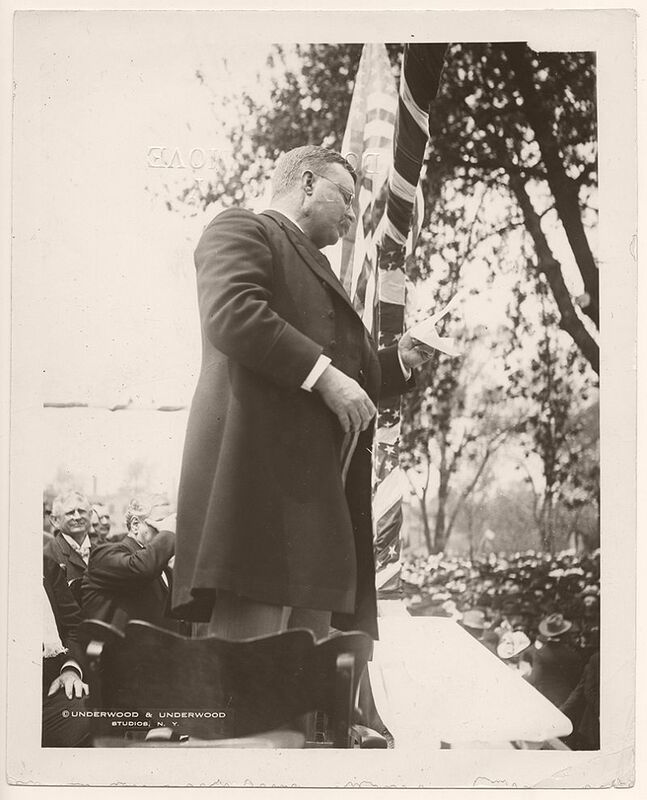 On October 4, 1906, President Theodore Roosevelt delivered a speech at the dedication of the new state capitol building in Harrisburg, Pennsylvania. 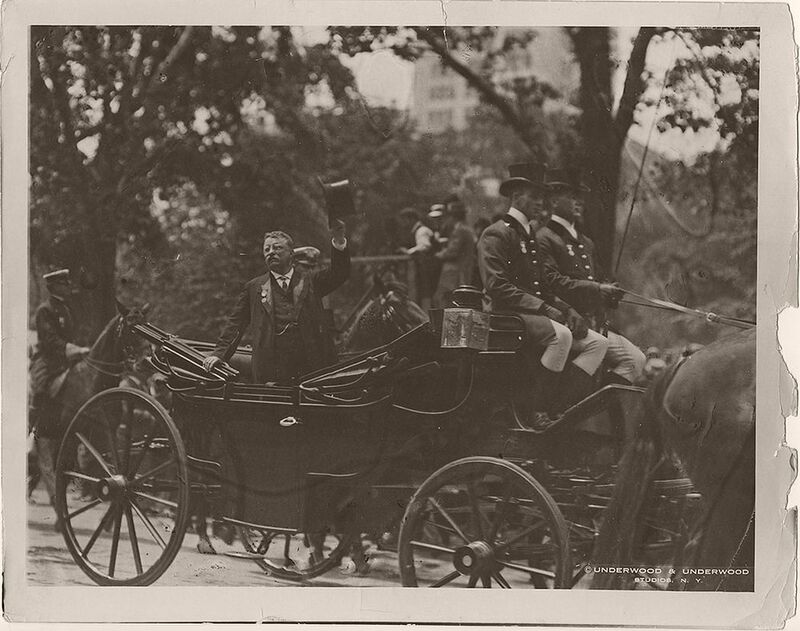 Former President Theodore Roosevelt Riding in a Carriage along Fifth Ave, in New York City. June 18, 1910. On May 13, 1916, Former President Theodore Roosevelt held a ‘readiness’ celebration at his home in Oyster Bay, New York. 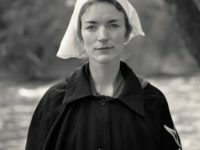 The celebration included two detachments of Boy Scouts and members from St. Patrick’s Church in Garden City, New York. 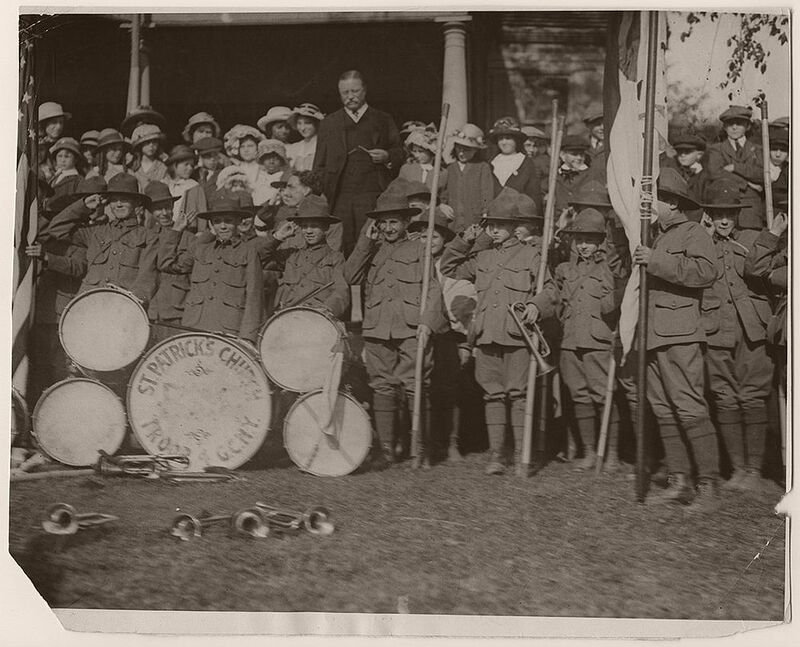 The celebration coincided with Mrs. Roosevelt’s appearance at a preparedness parade in Manhattan. 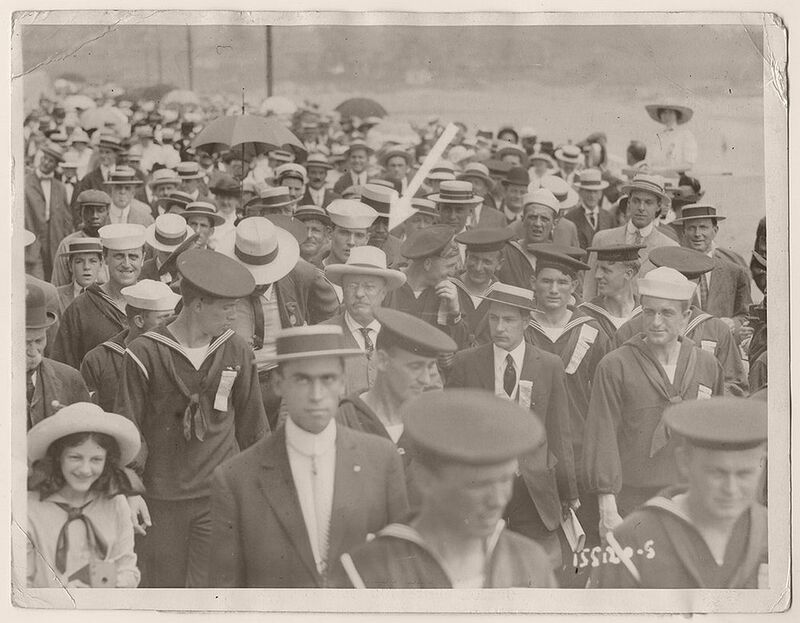 Theodore Roosevelt inside a crowd of sailors and other individuals on the boardwalk in Newport, Rhode Island. July 22, 1908. 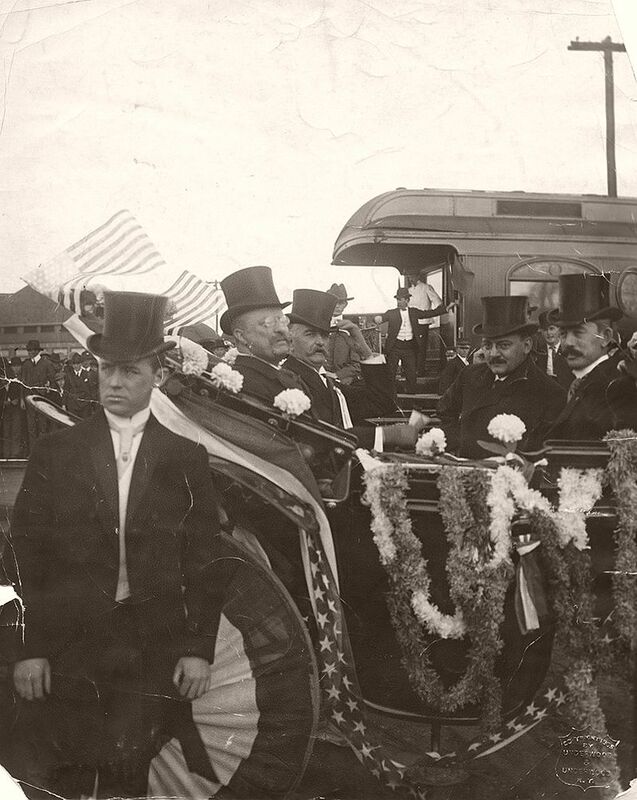 Former President Theodore Roosevelt in the car of Dr. Clinton Hart Merriam, biologist and naturalist, at Union Station, Washington D.C. The former President was headed to the new National Museum (now the National Museum of Natural History) to view a new exhibit he helped sponsor. May 26, 1914.